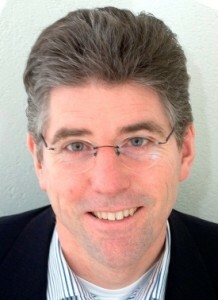 Henk Bellinga is Senior Consultant, Facilitator and Interim Manager. Specialized in Project Start-up, Team Alignment, Project Interventions and Strategic Alliance Management of complex projects in Infrastructure and Industry. Bsc in Mechanical Engineering and msc in Construction Management. Henk worked till the end of 2004 as Director Strategic Corporate Accounts Europe at Honeywell Industrial Automation. Over 30 years of experience in program- and project management in the Construction Industry as in ICT. Founder and methodology designer of the Honeywell Project Definition and Start-Up consultancy program. Daily boardmember of the NAP, the process industry competence network, responsible for the innovation program. Former boardmember of Dace, de Dutch Association of Cost Engineers, and the former president of the Dutch Project Management Institute IPMA-NL and of GTA, the industry technical automation association of the FME. Active as an industry consultant, coach and (guest)lecturer in Master Class programs of Universities and Institutes in Finland, Denemark, Polen, Austria and the Netherlands. Recent projects are focusing on the implementation and the improving of program management, system engineering, global distributed teamwork and strategic collaborations in complex projects and alliances both nationally and internationally. Might ‘questionstorming’ be more effective than brainstorming? Advitec on Might ‘questionstorming’ be more effective than brainstorming? Ed on Might ‘questionstorming’ be more effective than brainstorming?